Sometimes the question is asked, “Why are so many people who have realized God still battling with the evils of this world?” The answer is that the tacit acceptance of the universal belief in two powers still persists. A person not aware of the basic principles of omniscience, omnipotence, and omnipresence may realize God, and at the same time be experiencing human error. That is what the Master referred to as “tares and the wheat” growing side by side. 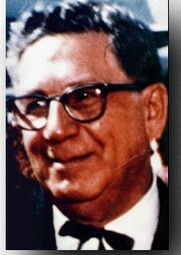 Many mystics throughout the ages have experienced the awareness of a Presence and Power, and yet they have gone through physical disease and material lack and limitation, all because they had not yet awakened to the truth that in the presence of God there is only the realization of spiritual Grace and in this Presence all else is nullified. From Seek Ye First, page 132. The path differs indeed for different pilgrims. India is a country which is fortunate to have witnessed her daughters rise to be great mystics. A person strives to learn the intricacies of religion, practices it diligently and then after many years may reach the zenith of spirituality. But there are some individuals who are born with all the prerequisites, a great mind and a high level of consciousness. Anandamayi Ma was one such evolved woman. 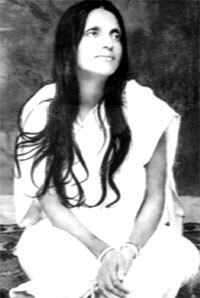 Anandamayi Ma was born in East Bengal (now Bangladesh) in 1896. Her father, Bipin Behari Bhattacarya sang Vaishnava songs, often appearing intoxicated. 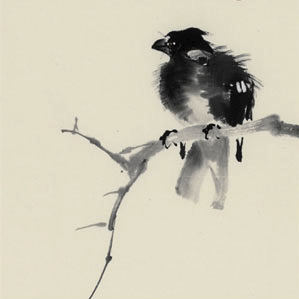 He would rise early in the morning and sing songs; he was given to wandering around for long periods. His wife would have to go looking for him to bring him back home. Once during a storm the roof of his house blew off but he continued to sing in the rain, oblivious of what had happened! Anandamayi’s mother Moksada Sundari Devi was known for her states of bhava or religious emotion. As she performed her household duties, she was visited by avatars and deities who shone with light. 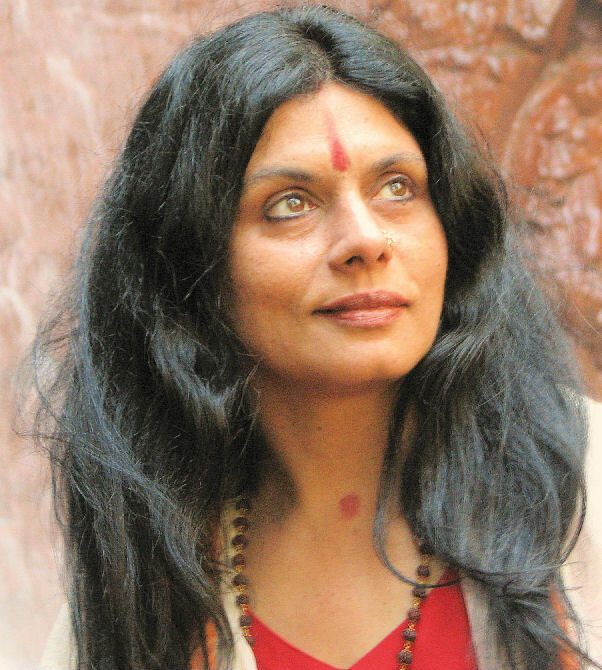 While pregnant with Nirmala – Anandamayi’s given name – she would see visions of sages and deities which would appear and then suddenly disappear. Later on she took her vows and became a ascetic. 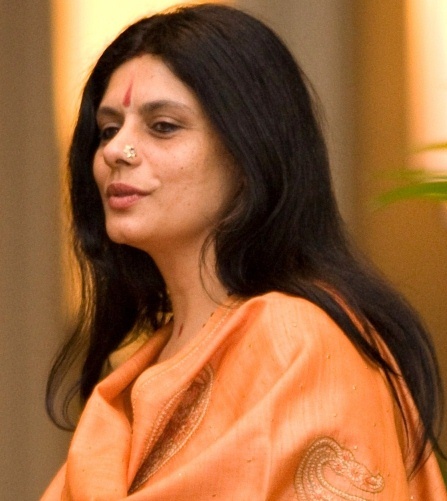 The sound of religious chanting would make Nirmala ecstatic. In temples she would see deities emerging from their idols and then re-entering them. She was often distracted and would gaze into space – her eyes not focused on any worldly object. Her education was limited and her writing skills minimal. At the age of thirteen she was married to Ramani Mohan Cakravarti or Bholanath as he was more popularly known. She spent a few years living in her brother-in-law’s house – most of them in a trance. She was a hard worker but sometimes had difficulty concentrating on housework. Her relatives assumed that the trances were due to overwork. When her brother-in-law died she went to live with her husband. At that time she was eighteen years old. Here she met a young man who was impressed by her quiet and gentle ways and he started calling her ‘mother’ (Ma in Bengali). This young man predicted that one day the entire world would address her in the same manner. Hers was an unconsummated marriage, though not by her husband’s choice. When thoughts of sexuality occurred to Bholanath, Anandamayi’s body would take on the qualities of death and she would grow faint. He had to chant mantras to bring her back to consciousness. Sometimes in such situations her body would become contorted or it would stiffen. She would later say that she gave her husband spontaneous electric shocks when he touched her in a wrongful way. Bholanath thought the situation was temporary but it proved to be permanent. His relatives said he should remarry but he did not follow their advice. 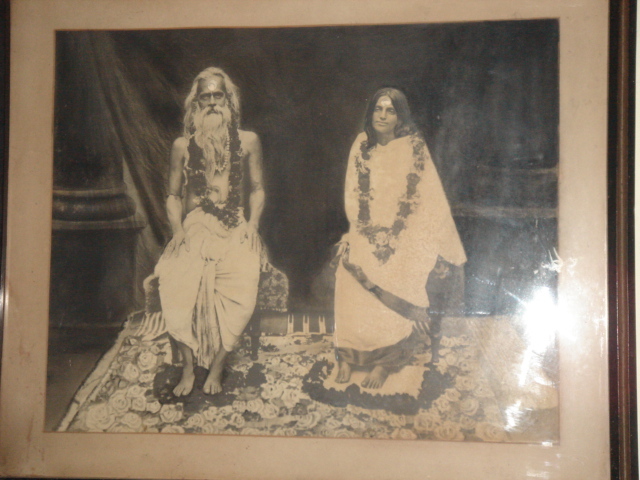 Later Bholanath was initiated by her and he accepted Anandamayi as his guru. While living in Dacca, people came to recognize her spiritual qualities. At the sound of religious chanting she would become stiff and even fall to the ground in a faint. Sometimes her body became contorted during these episodes. At times she would stretch her body and at times shrink it; sometimes her limbs would go into seemingly impossible positions – as if her skeletal structure had changed shape under her skin. She would hold difficult yogic postures (asanas) for long periods of time and spontaneously form complex tantric hand positions (mudras). Her husband thought she was possessed and took her to exorcists. One physician said that she was not mad in the conventional sense but may have a kind of god intoxication – a divine madness for which there was no known cure. In 1916 she became ill and moved back to her parent’s home in Vadyakuta. In 1918 she and her husband moved to Bajitpur where she began Shaivite and Vaisnavite spiritual practices. Inner voices would tell her what actions to perform and which images to visualize. Her yogic practices (kriyas) were spontaneous and she described them as occurring automatically – much like a factory where the various machines worked together in perfect coordination to produce a product. Anandamayi would weep profusely, laugh for hours, and talk at tremendous speed in a Sanskrit-like language. Other unusual actions included rolling in the dust and dancing for long periods whirling like a leaf in the wind. She would also fast for long periods and at other times consume enough food for eight or nine people. In Indian devotional tradition, changes in body structure and state are considered spontaneous expressions of religious emotion. Anandamayi’s changes were more extreme than the common sattvika bhavas. Some respected Indian saints of the past are said to have had similar bodily changes. Anandamayi went on various pilgrimages traveling throughout India, staying in ashrams and attending religious festivals. In Dacca her disciples built a temple to her but she left the day it was completed. She traveled to Dehradun where she lived in an abandoned Shiva temple for almost a year, with no money and often in freezing temperatures without blankets. Anandamayi Ma was known for her siddhis or yogic powers wherein she could read her devotee’s thoughts and emotions from a distance, make her body shrink and expand and cure the sick. She was known for her siddhis or yogic powers wherein she could read her devotee’s thoughts and emotions from a distance, make her body shrink and expand and cure the sick. One disciple claimed that she was saved from death in a car accident when Anandamayi grasped her ‘life substance’ and brought it back to her dead body. Anandamayi was sensitive to environmental influences. Once as she passed by a Muslim tomb, she began reciting portions of the Quran and performing the Namaz (Muslim prayers). This and other similar acts showed that Anandamayi was always in a trance -moving through a variety of psychic and religious states, each one expressing itself through her. She often objectified her body by describing her actions with phrases like ‘this body did this’ or ‘this body went there’. She believed her chaotic actions were expressions of the divine will. At times she described herself as completely empty with no sense of the ‘I’ remaining. 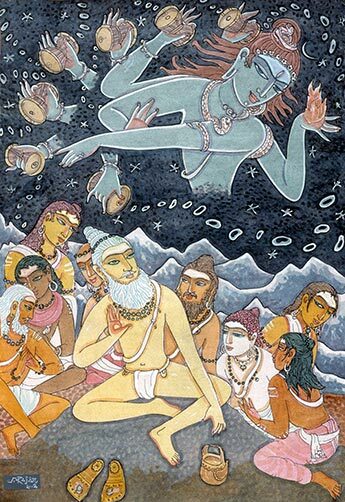 She was lost in a great void – the mahashunya – which was responsible for her actions. The actions that emanated from this void were often chaotic and incoherent. Her view was that a universal state of chaos arises due to spontaneous expressions of the divine will which arises out of this nothingness. But she also talked in theological terms stating that her bhavas or expressions were the play of the Lord acting through her body. Though she was never formally initiated by a guru, one evening she spontaneously performed her own initiation visualizing both the ritual scene and the movements. Spontaneously she heard the chanting of initiatory sacred mantras within herself. She explained that there were four stages in her spiritual evolution. In the first the mind was ‘dried’ of desire and passion so it could ignite the fire of spiritual knowledge easily. Next the body became still and the mind was drawn inwards as religious emotions flowed in her heart like a stream. Thirdly her personal identity was absorbed by an individual deity, but some distinction between form and formlessness still remained. Lastly there was a melting away of all duality. Here the mind was completely free of all movement of thought. There was full consciousness even in what is normally characterized as the dream state. When speaking of spiritual evolution she also maintained that her spiritual identity had not changed since early childhood. She claimed that all the outer changes in her life were for the benefit of her disciples. Anandamayi Ma would sometimes assay a variety of roles and later explain that this was a performance staged to teach someone present a lesson. However such acts were not a function of her will and occurred without planning or intent. Anandamayi was a holy woman – without formal religious training or initiation – whose status was entirely due to her ecstatic trances. She did not have a worldly guru though she did hear voices that told her what religious and meditative practices to perform. She emphasized the importance of religious devotion and of detachment from the world. She also encouraged her devotees to serve others. She traveled and wandered a great deal, at times refusing to stay in the ashrams her devotees arranged for. While her parents worshiped Krishna, she could not be placed in any definite tradition. An ecstatic child of ecstatic parents, she became a famous saint who like many other female Indian saints stood on the edge of several religious traditions yet in the midst of none. Throughout her long life till she died in 1981, she influenced the spirituality of thousands of people who came to see her. She never initiated people or considered herself a guru to anyone, yet there were throngs of seekers who learned a lot from her and their spiritual journey began only because of her silent presence. Dr. David Frawley (Pandit Vamadeva Shastri) is a unusual western born knowledge-holder in the Vedic tradition. He carries many special Vedic ways of knowledge (vidyas), which he passes on to students in India and in the West. In India, Vamadeva is recognized not only as a Vedacharya (Vedic teacher), but also as a Vaidya (Ayurvedic doctor), Jyotishi (Vedic astrologer), Puranic (Vedic historian), a Hindu acharya (Hindu religious teacher) and a Yogi. In India, Vamadeva’s translations and interpretations of the ancient Vedic teachings have been given great acclaim in both spiritual and scholarly circles. In America he is more known as a teacher and practitioner of Ayurvedic medicine and of Vedic astrology (Jyotish) and has done pioneering work on both these subjects in the West. Most recently the integration of Yoga and Ayurveda has come to the forefront of his work. Vamadeva sees his role as helping to revive Vedic knowledge in an interdisciplinary approach for the planetary age. He sees himself as a teacher and translator to help empower people to use Vedic systems to enhance their lives and aid in their own Self-realization. He sees Vedic wisdom as a tool for liberation of the spirit, not as a dogma to bind people or to take power over them. For him, Vedic knowledge is a means of communing with the conscious universe and learning to embody it in our own life and perception. Though Vamadeva has worked in several different fields, he has endeavored to approach each of these with a great deal of specificity and precision. For a good overview of his work and background, it is best to examine his book Yoga and the Sacred Fire: Self-Healing and Planetary Transformation (2005). and waters are not waters. But now that I have got its very substance I am at rest. all are flowers in the sky. I leave birth and death. The wind has settled, the blossoms have fallen; birds sing, the mountains grow dark — this is the wondrous power of Buddhism. Unfettered at last, a traveling monk, I pass the old Zen barrier. Mine is a traceless stream-and-cloud life, Of these mountains, which shall be my home? Brings the harvest of the holy life. This is what should be done by one who is skilled in goodness, and who knows the path of peace: Let them be able and upright, straightforward and gentle in speech. Humble and not conceited, contented and easily satisfied. Unburdened with duties and frugal in their ways. Peaceful and calm, and wise and skillful, not proud and demanding in nature. Let them not do the slightest thing that the wise would later reprove. 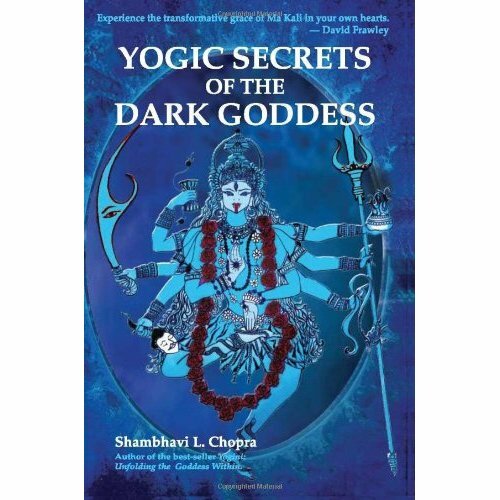 I have just finished reading Yogini: Unfolding the Goddess Within by Shambhavi Chopra. Yogini: Unfolding the Goddess Within is a unique record of personal experiences that portray in its various fascinating episode the secrets of the magical world of Tantra. It shows how the gods and goddesses can manifest themselves within our daily lives, taking us from the mundane to the sublime and making our days and nights a dance of wonder and delight. This book shares a very personal story of Tantra and Bhakti yoga, I felt honored to be privy to this author’s musings. It gives a lot of good advice for your own spiritual path. I highly recommend this book. I enjoyed this book though I still wonder about her background. She mentions that she was born in India to a privileged family and that she had success as a textile designer in New York City, has two sons and had a painful divorce. I don’t know where she grew up or lives now. The book is helpful because she talks about spirituality from quite a different point of view. As a bhakta she embraces individuality and desire and sees these as parts of the One. She chants many mantras, performs rituals, visits sacred sites and dives into and swims around in the whole Vedic and Tantric traditions. Her approach is strongly feminine and devotional. Visitations from gods and goddesses seems to be a part of her daily experience. There are many traditions, each containing many distinct lineages. Common traditions include Taoist, Vedic, Tantric, Celtic, Christian, Egyptian, Jewish, Buddhist, Sufi and even extraterrestrial. Some people belong to Solar traditions and other to Venusian. I’ve met people from all kinds of traditions – I find it very interesting. Each tradition has its particular practices and it seems to me that sticking to them, and following your intuitive cues, is the best avenue for evolution. The masters of your tradition are inwardly available to you if you are intuitively receptive, and even if you are not aware of it they are still helping you out. I’ve found that this internal tradition is like a stream of consciousness – a powerful river – with its own momentum that can carry you along. Initiations and ceremonies are powerful aids for coming in contact with them and aligning yourself with their flow of consciousness. And it is important to remember that the masters of your tradition are in fact all aspects of the One – they are the manifest, dynamic expression of pure consciousness. Here is a part of a prayer that I say every day. It has had a very big impact on my life and I consider it an essential part of my practice. And to all living spiritual masters. This is a very helpful little test that I got from Dr John Demartini. It helps you become clear about your values. Where are you most organised/ordered? Where are you most disciplined/reliable? What do you envision or visualise most? What do you internally dialogue about most? What are you inspired about most? What do you set goals toward most? Look at your bookshelf, your favourite webpages, what you fill your home with, what do you like to talk about? Doing this will reveal your values and priorities. If you’re into goal setting, it really helps to know what you actually value, as opposed to what you think you value. The values you have determined will dictate your destiny. My highest value – what I give the most attention to – mostly fall into the Spiritual area of life, followed by Physical and Mental. If I want to improve another area of my life, say career, then I should choose a career that honours my existing values. Or if I wanted to improve my social life, I’d know that I should seek out other people who value spirituality. As obvious as this may seem, it is very easy to overlook and to get swept up in other people’s values at the expense of your own. If there is an area of your life that needs improvement, then to get meaning and motivation you should link your existing values with your intended outcome. Dr. Demartini gives the example of a salesman who likes some parts of his job (like closing the deal and mixing with customers) but doesn’t like other parts (like asking for money and cold calling). John says he should make a list of all the parts of his job and then link all the parts to his highest value. If his highest motivation is retirement, then he should learn to see how cold calling directly contributes to his retirement. There should be no doubt in his mind about how each part of his job moves him closer to his goal – then there will be motivation, meaning and purpose to every part of the job. Dr Demartini explores this topic of values in some of his books, particularly The Heart of Love because understanding your own values and other people’s values is a very important key to relationships. You are currently browsing the SunYogi Blog blog archives for December, 2009.